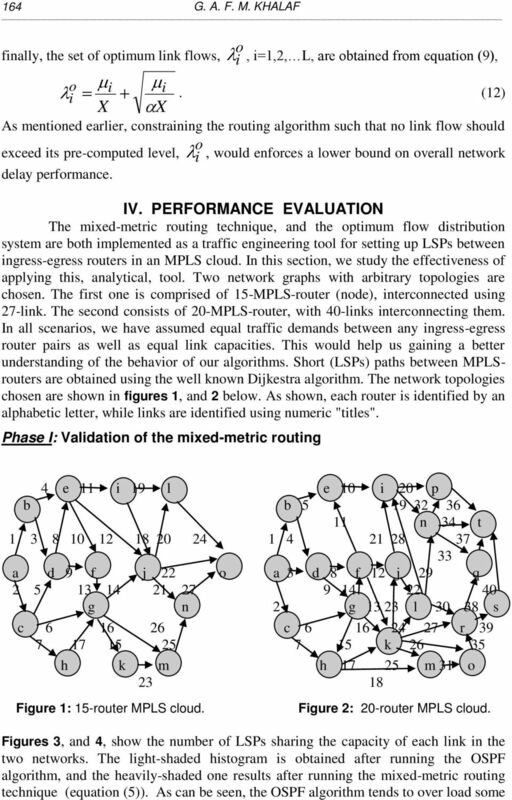 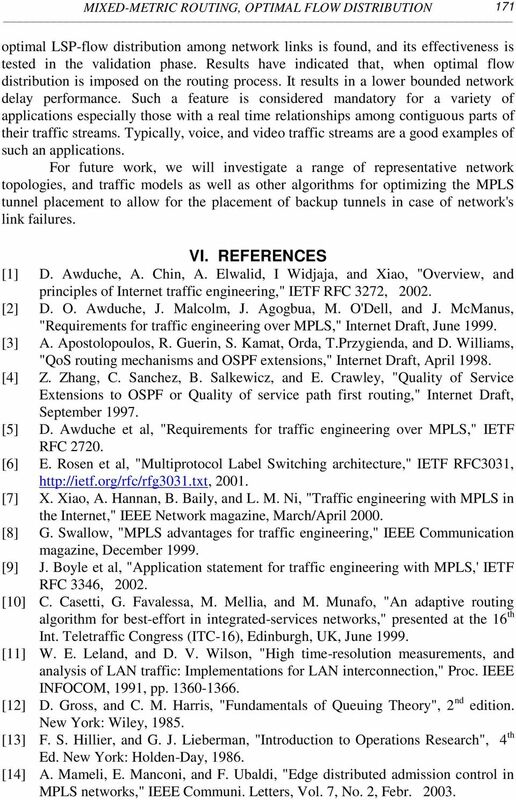 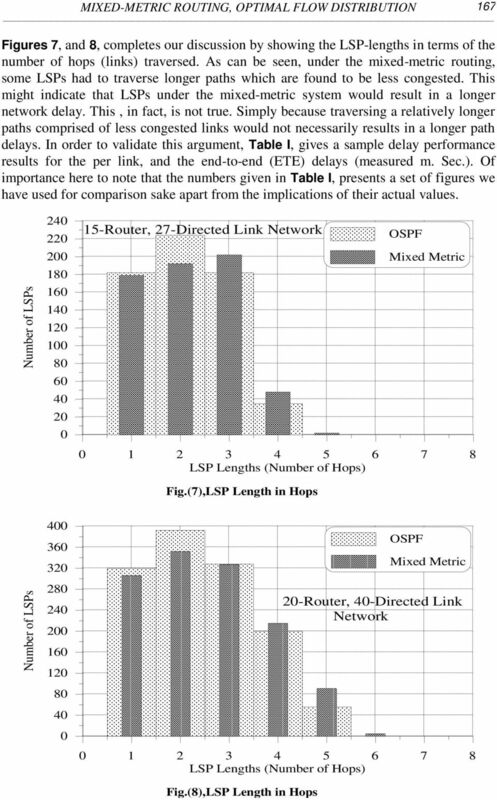 Download "A MIXED-METRIC ROUTING WITH OPTIMAL FLOW DISTRIBUTION FOR MPLS NETWORKS"
11 MIXED-METRIC ROUTING, OPTIMAL FLOW DISTRIBUTION 169 Number of LSPs Router, 40-Directed Link Network LSP Lengths (Number of Hops) Fig. 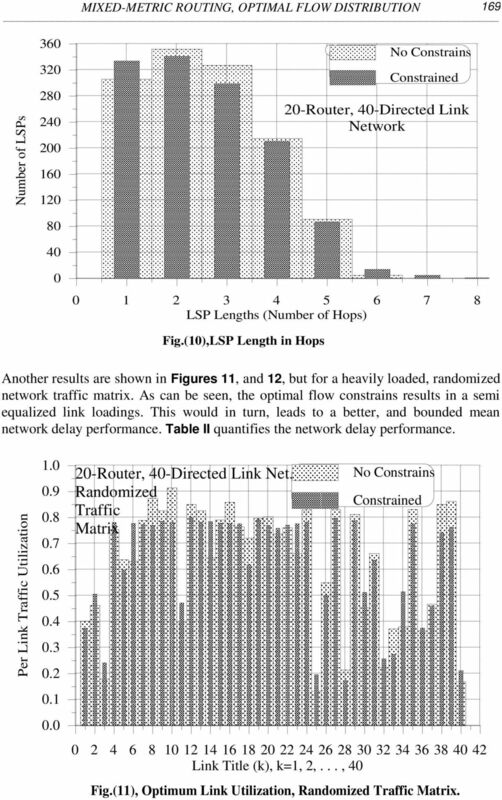 (10),LSP Length in Hops No Constrains Constrained Another results are shown in Figures 11, and 12, but for a heavily loaded, randomized network traffic matrix. 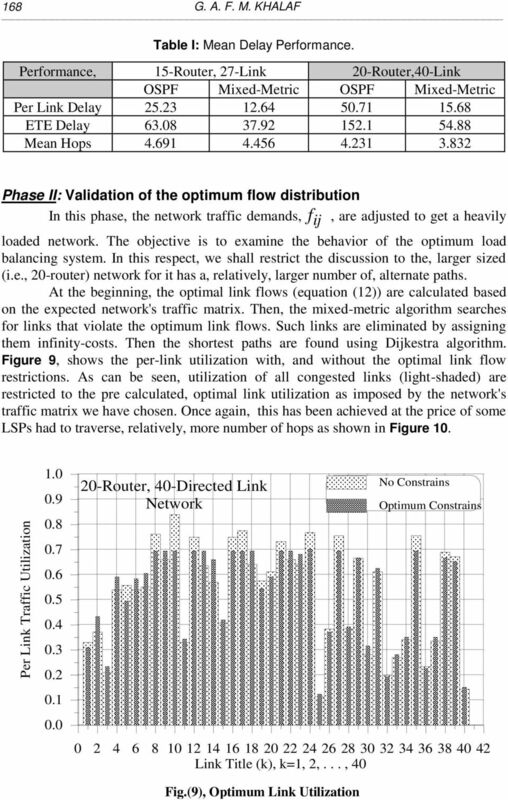 As can be seen, the optimal flow constrains results in a semi equalized link loadings. 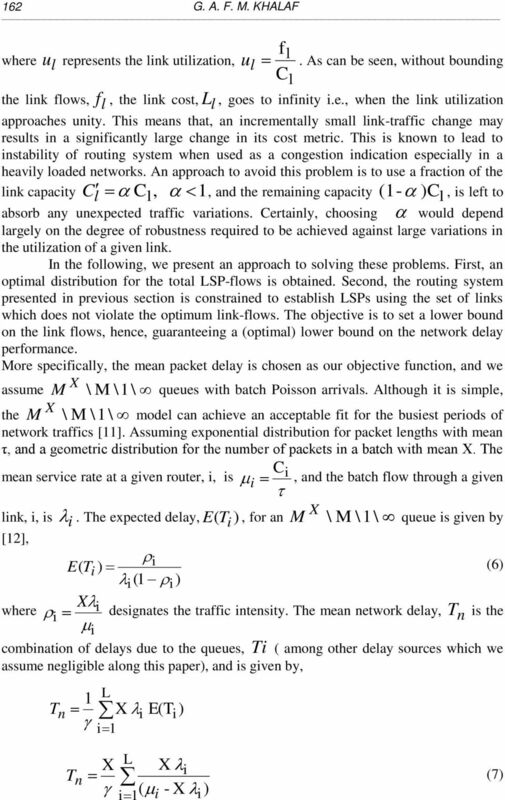 This would in turn, leads to a better, and bounded mean network delay performance. 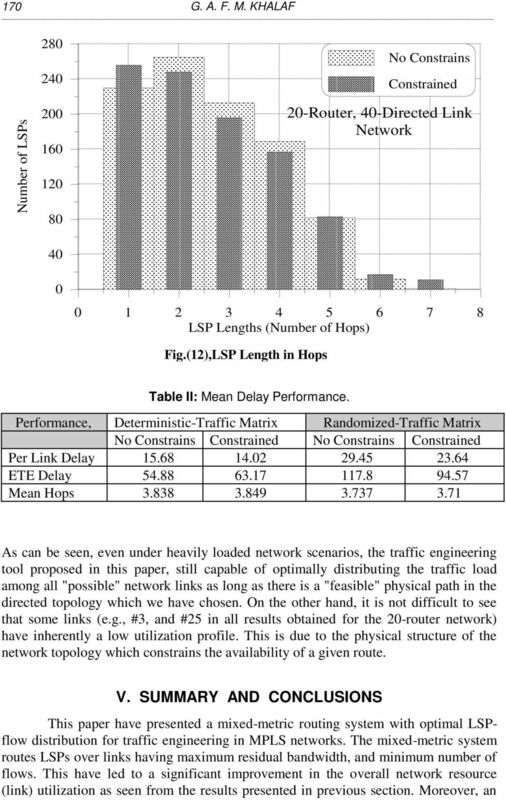 Table II quantifies the network delay performance. 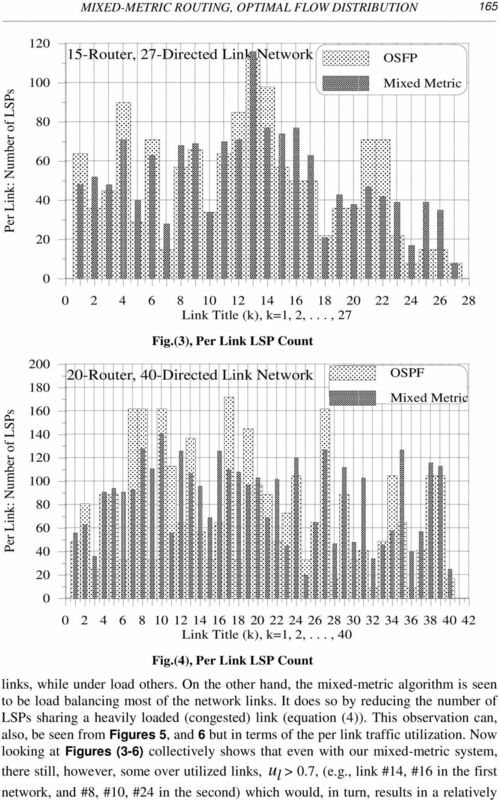 Per Link Traffic Utilization Router, 40-Directed Link Net., Randomized Traffic Matrix No Constrains Constrained Link Title (k), k=1, 2,..., 40 Fig. 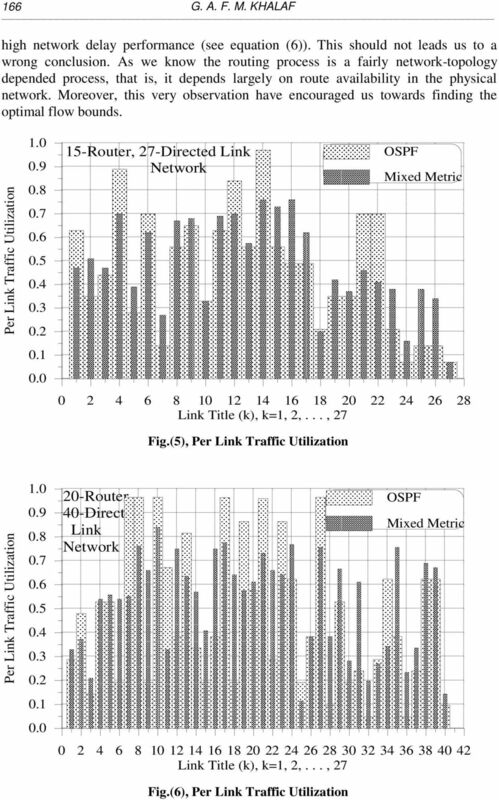 (11), Optimum Link Utilization, Randomized Traffic Matrix. 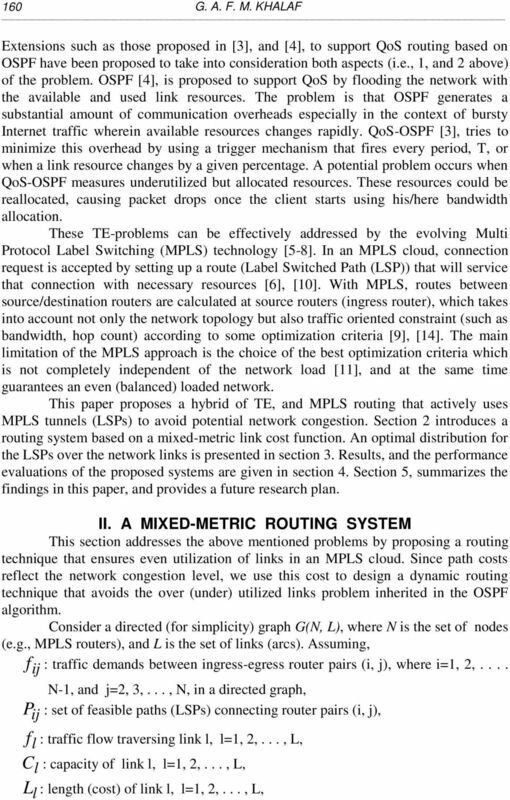 14 172 تحديد المسارا باستخدا القي المتعددة مع التزيع اأعظ لحرك فى شبكا MPLS يقد هذا البحث نظا ديناميكي جديد لتحديد المسارا في شبكا MPLS يعتمد عى استخدا القي المتعددة مع التزيع اأعظ لحرك. 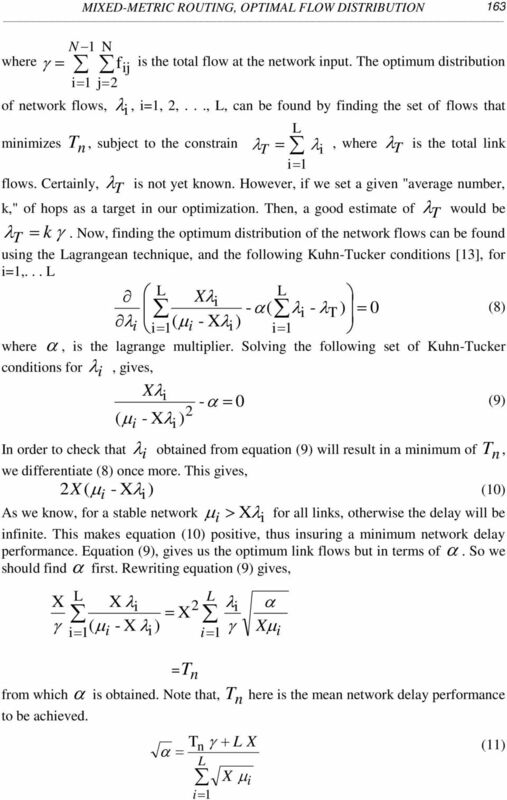 يدف هذا البحث إلى ضع حد أدنى لمستى اأداء في هذا النع من الشبكا. 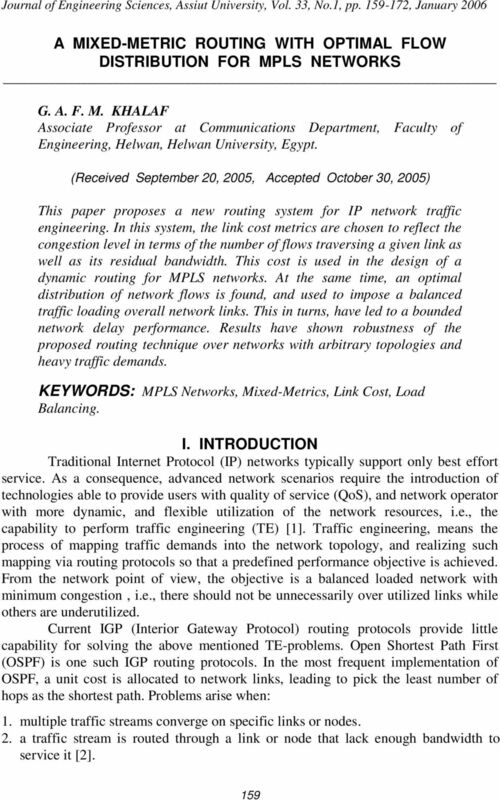 قد أظر النتائج قدرة النظا المقترح عى تزيع أحمال الشبك بطريق مثالي حتى عند اأحمال العالي.